Start(ing) from Detroit is a 4-month campaign to raise awareness and propel change on the issue of youth homelessness. The campaign will raise funds for a coalition of organizations working at the front lines; these organizations collectively serve thousands of young people every day; our goal is to empower them to serve significantly more, with the greatest impact, until the point where we’ve provided the necessary opportunities for every youth in need. 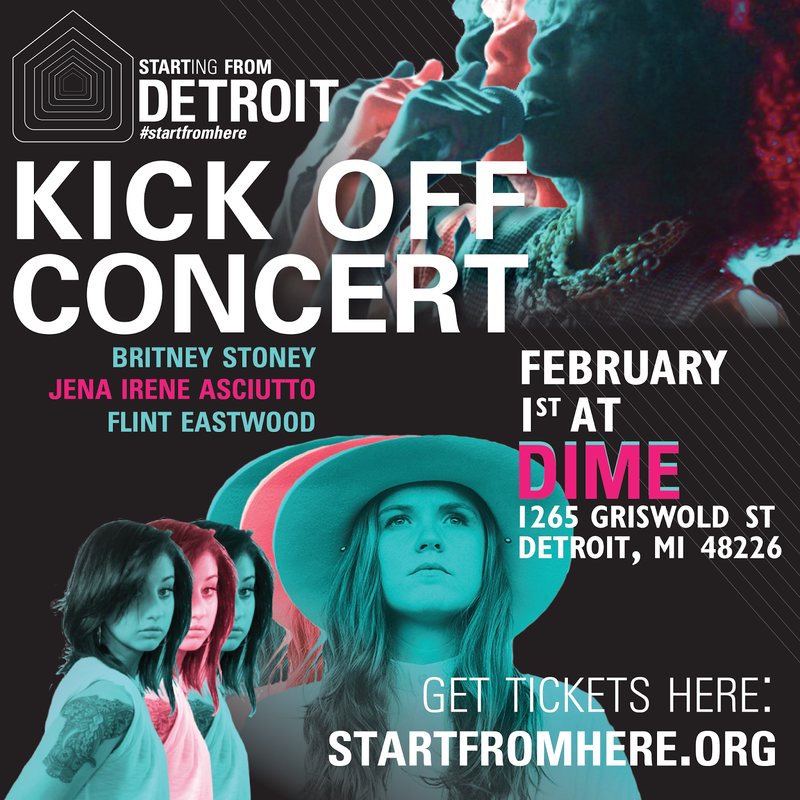 Join Start(ing) from Detroit for this special one-night-only event, designed to bring together the Detroit community to combat youth homelessness at DIME Detroit (Detroit Institute Of Music Education). Proceeds from ticket sales go towards leading frontlines non-profit organizations; our partner in Detroit is the Ruth Ellis Center.